Kashmir is the epitome of scenic beauty. 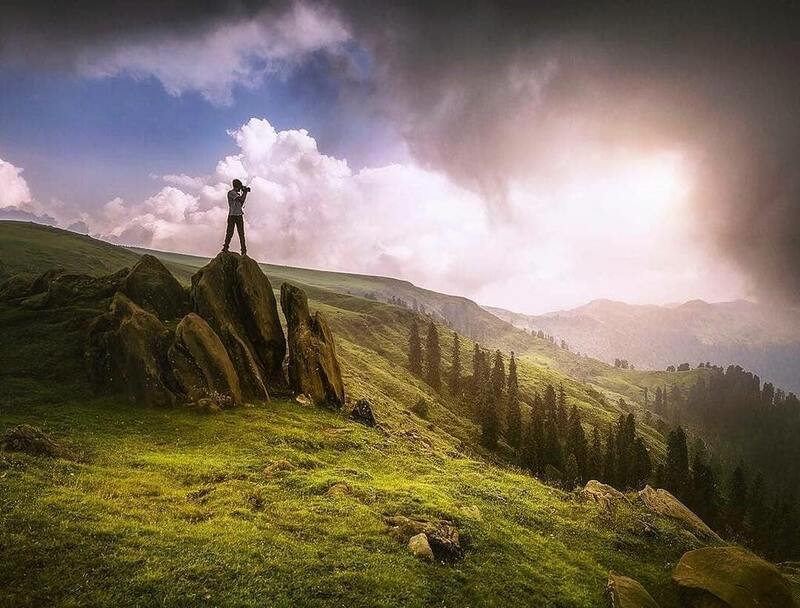 Nestled in the heart of the Himalayas, the gorgeous valley of Kashmir will steal your breath away. 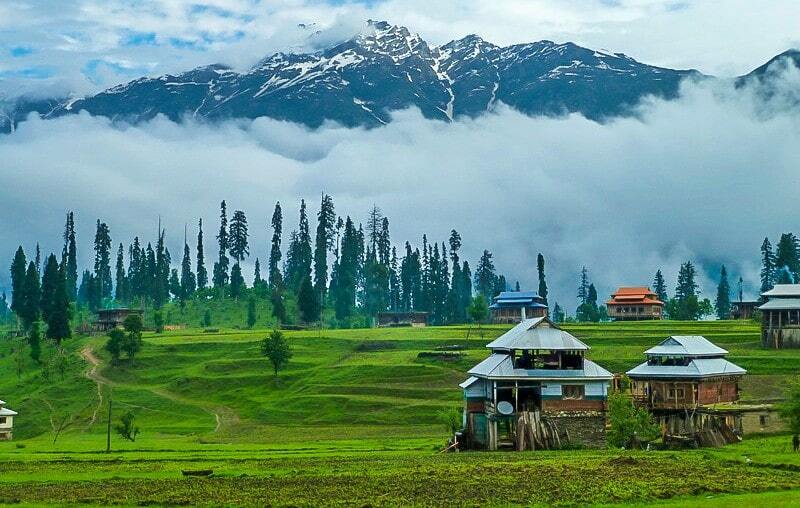 Its picturesque landscapes, lush green valleys and snowcapped mountains make it a small heaven on Earth. When the Mughal Emperor Jehangir laid eyes on Kashmir these Persian words escaped his tongue, ‘Gar Firdaus bar-rue zamin ast, hami asto, hamin asto, hamin ast’ which translates to, ‘If there is heaven on earth, it is here, it is here, it is here.’ Lately Kashmir has been the epicenter of tourism. It is flooded with an onslaught of people in certain months of the year and this commotion only dulls down in the worst of the snows. Situated at a 2-hour drive from Rawalakot, Toli Pir is a small tourist delight. You reach the mountain peak after a light 30-minute trek. The Toli Pir Peak presents a view of almost every other mountain peak of Kashmir. You can set up a camp and have a bonfire in Toli Pir or you arrange a barbecue under the clear blue Kashmir skies. At night, Toli Pir makes a brilliant spot for stargazing. The unpolluted region of Kashmir offers beautiful clear skies which are an absolute delight to observe, especially at night. 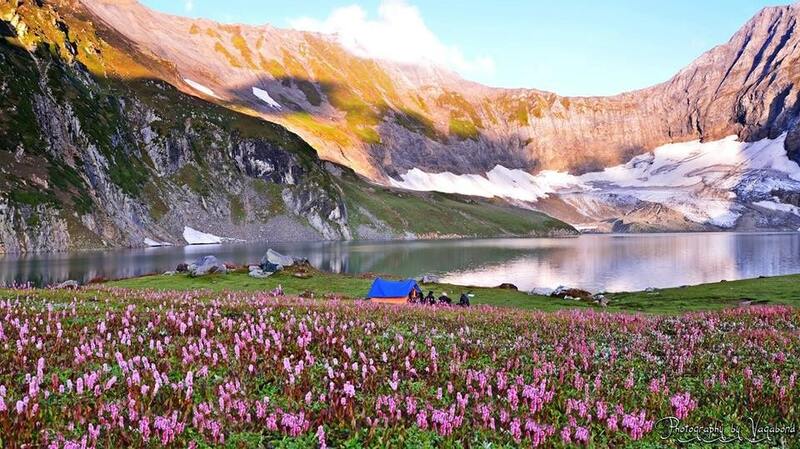 Deep in the heart of the Neelum Valley rests the turquoise Ratti Gali lake. This lake is an alpine glacial lake which means that it is fed by the surrounding glaciers and is located at an altitude of 12,130 feet (3700 m). 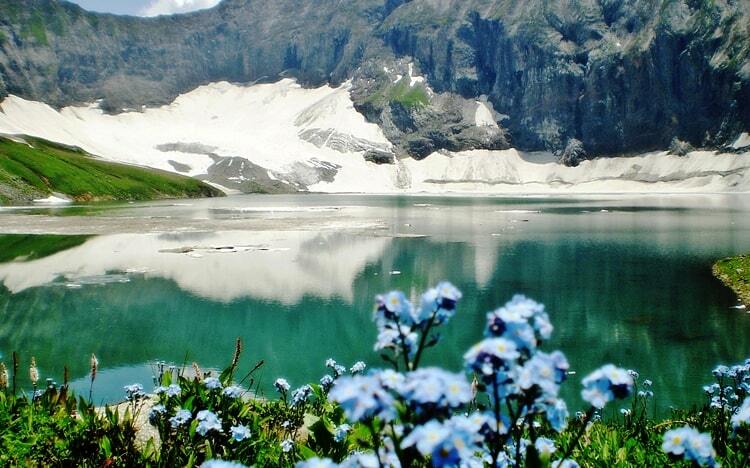 If Kashmir is heaven on Earth, then this lake is deemed the arms of Paradise. 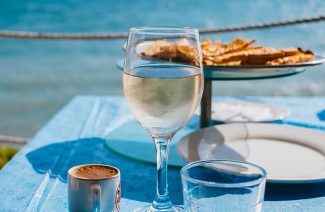 Its clear blue waters will have you mesmerized and enchanted. To reach the lake you have to take a daring and a bumpy jeep ride from Dowarian which only true adventure seekers will consent to. Despite the hardships of the journey, Ratti Gali will be worth laying eyes on. The villages of Kel and Arang Kel are covered in snow for the major part of the year. Kel is located 155 km away from Muzaffarabad. There are several landslides during the summers which is why you should avoid visiting Kel during the summers and the extreme winters. The perfect time to visit Kel and Arang Kel is between August and November and also during the months of March and April. You can opt for an invigorating 1-km long chairlift ride from Kel to Arang Kel village of if you love a good hike then you can reach the Arang Kel on foot after a 2-km long trek. Either way you will love the village of the Arang Kel. 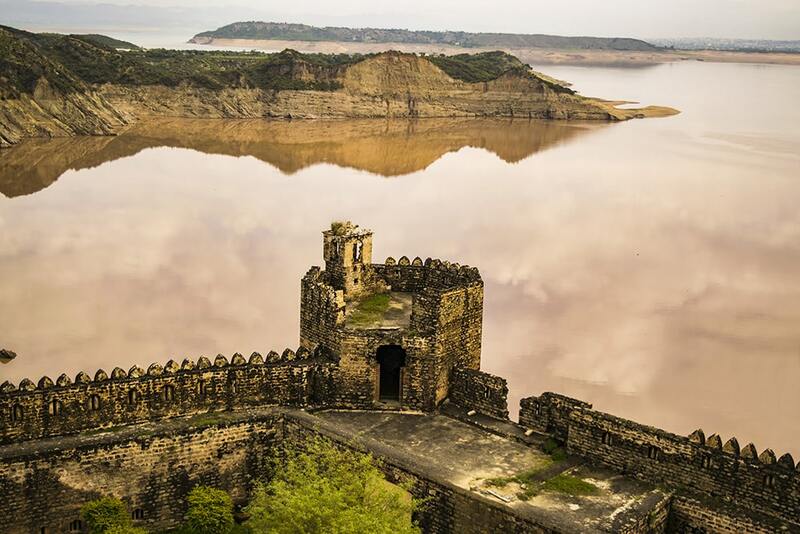 Ramkot Fort is a medieval fort located beside the Mangla Dam. It takes a 13 km boat ride to get from Dina to Ramkot Fort and it is a 79-km road trip away from the district of Mirpur. Three sides of the fort are completely surrounded by the river Jhelum which makes the Ramkot Fort a perfect spot for sight-seeing and simply appreciating the beauty of the Jhelum river. This historical masterpiece was built over the site of an old Shiva Hindu temple by the Muslim rulers of Kashmir in the 16th century. If you visit Kashmir, then this fort should be on your bucket list! 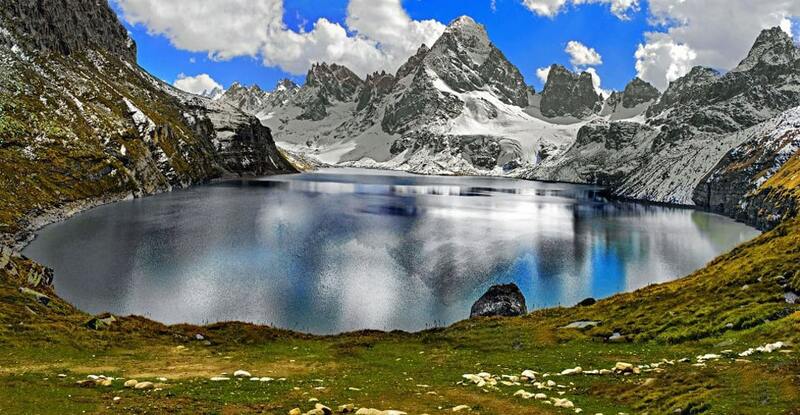 This picturesque lake remains frozen for the better part of a year which is why you should only visit it in summers. 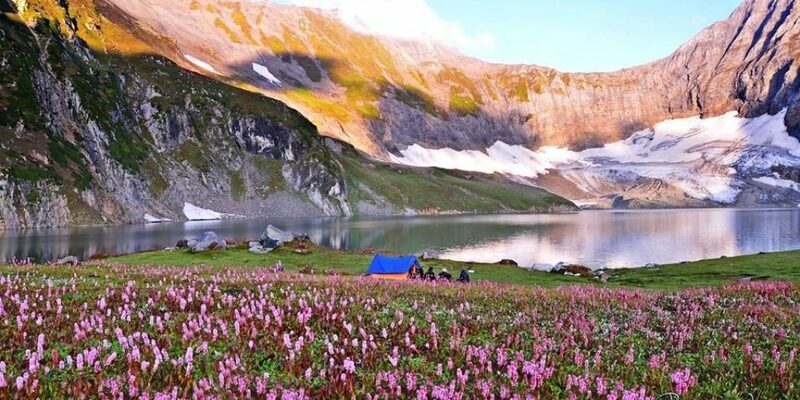 If you’re fortunate then you won’t find the lake snowbound and will be able to behold the scintillating beauty of the magnificent Chitta Katha Lake. It is considered one of the highest Alpine lakes of the world and is situated at a striking elevation of 13,500 feet (4,100 m) above sea level. The lake is also referred to as White stream of water and its main water source is the Hari Parbat which is the second tallest mountain of Pakistan only second to the prodigious K-2. It’s bewildering beauty will cast a spell on you and you won’t want to move your eyes away from it. These are some of the most amazing tourist attractions of Kashmir. 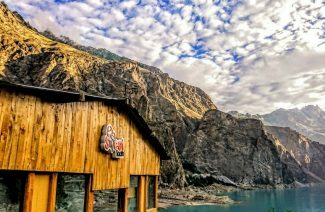 If you happen to be planning to go all the way to Kashmir for your honeymoon, then these are all the places that you should definitely consider making a stopover at. Kashmir is the epitome of scenic beauty. Nestled in the heart of the Himalayas, the gorgeous valley of Kashmir will steal your breath away.